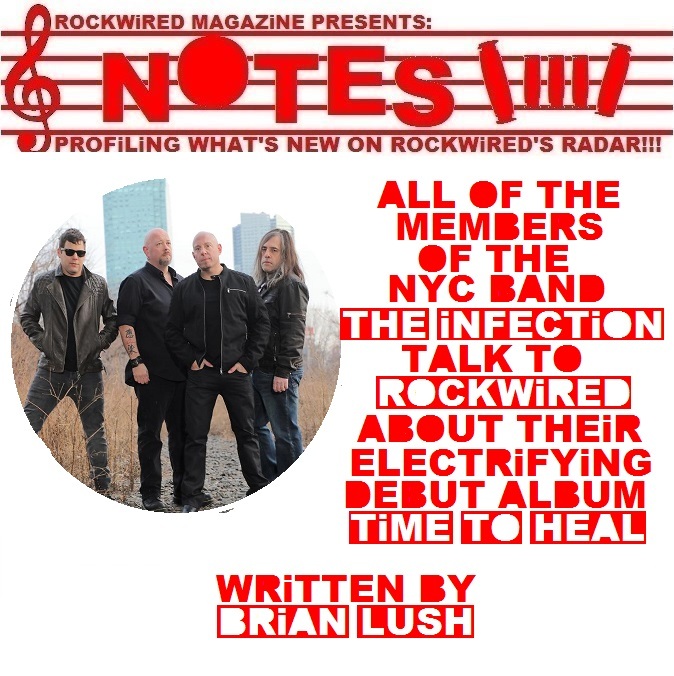 "ROCKWiRED NOTES: THE iNFECTiON | ALL THE MEMBERS OF THE NYC BAND THE iNFECTiON TALK TO ROCKWiRED ABOUT THEiR ELECTRiFYiNG DEBUT ALBUM "TiME TO HEAL"!!!" 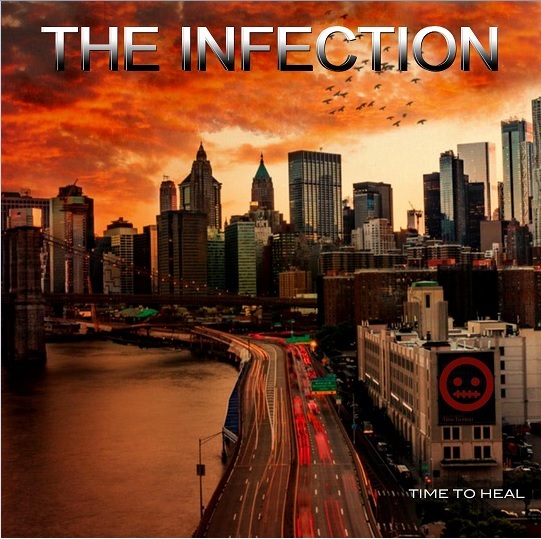 espite comprising hard rocking journeymen with over 80 collective years of musical experience between them, THE INFECTION is a brand new band that is hellbent on getting folks to feel energized and inspired by the music on their debut album TIME TO HEAL. 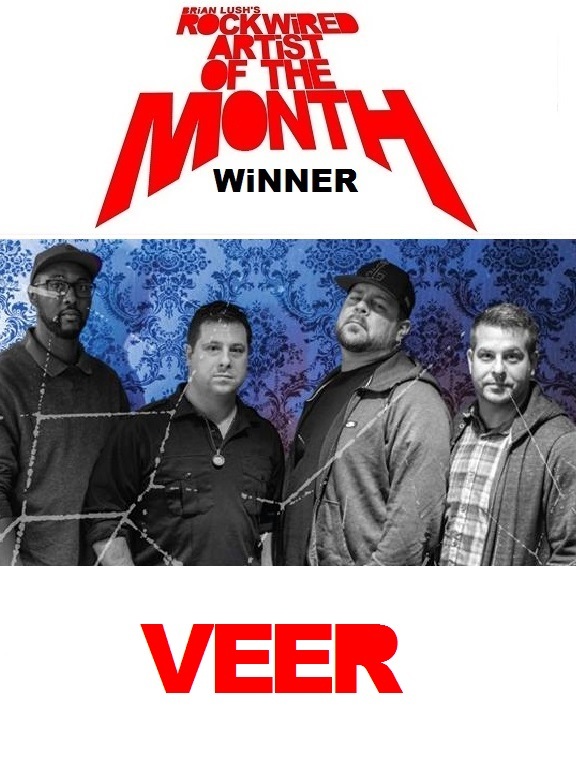 Two years isn't exactly a hell of a long time to be together as a band, but front man RICK DUNN, bassist SANTIAGO HELMAN, drummer VINNIE LAROCCA and ax man TOMMY GUARNIERI have used the time wisely to craft a lean and mean metal sound that speaks to the highs and lows of living life in a culture where you've got a scandal here and feel outraged about over there. You can hear that very sentiment in the band's first single and music video CONSEQUENCES. Of course, all of the kinks in the songwriting were worked out before they stepped into the recording studio and got a little help in the mixing and engineering with ANTHONY ROCKY GALLO (JOHN LEGEND, JON BON JOVI, THE CULT). Rock n roll is always it's most potent when it has something to say and there is plenty the band has to say when it comes to such issues such as the scandal ridden times we're living in (CONSEQUENCES), homelessness (VAGRANT) and acknowledging the men and women who have served this country (THE BRAVE). 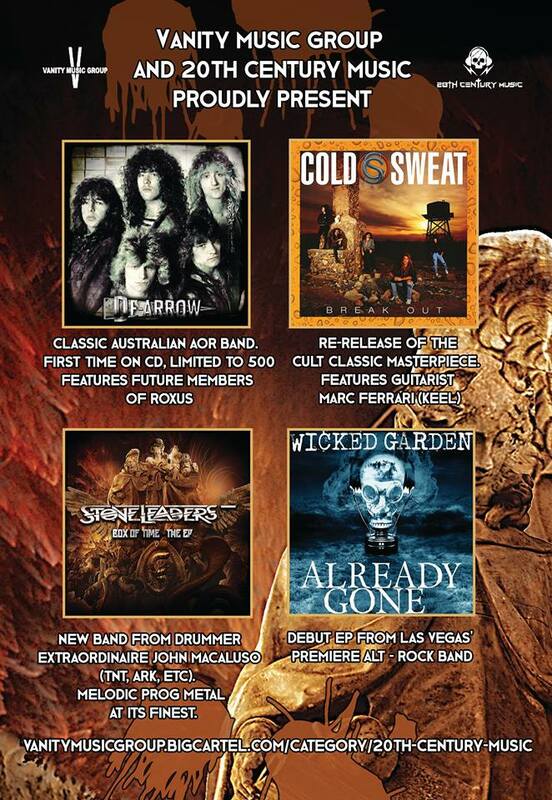 ROCKWIRED had a chance to speak with the all of the members of the band over the phone on the very day that the album TIME TO HEAL was released. Here is how the interview went. CHECK OUT THE MUSIC VIDEO FOR CONSEQUENCES!!! I'm getting you guys on a very exciting day. It's the release of your album TIME TO HEAL. Now that we're at the day of reckoning, what is all going through everyone's head with regard to the release? RICK: For me it's a little bit of a sense of relief. There has been a build up for this thing to come out for so long. You never know what the end result is going to be when you present it to the people. We're all really ecstatic right now! I went online first thing this morning and listened to it and teared up a little bit. It was a beautiful moment. VINNIE: My sentiments are the same as RICK's. I know that a lot of people don't buy CDs anymore but holding a disc in my hand is a beautiful thing. It's great to look at the artwork and hear the music that we created. Getting this album in my hands felt very good. It was a very positive experience for me when I woke up today. We're just really excited about this. We feel good about it as a band and we feel good that we made some really great music and I think people are going to really respond to this album. 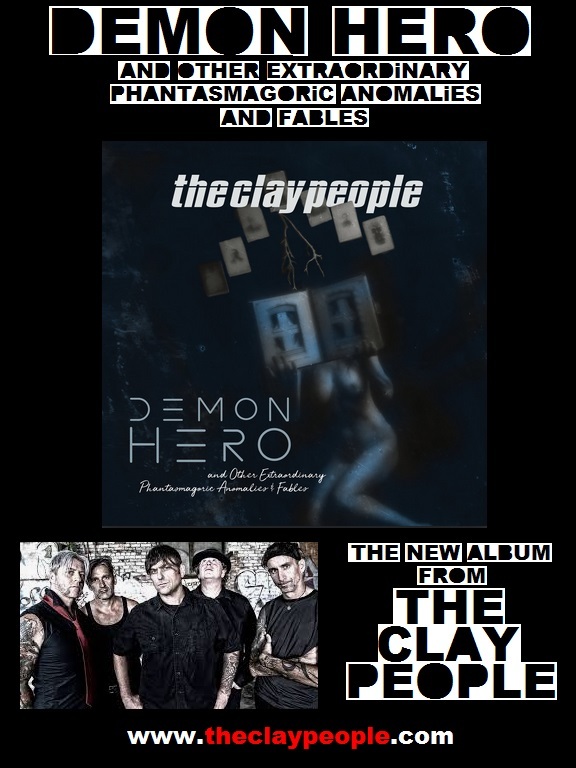 The feedback for this album so far has been really overwhelming. It's a little bit surreal. We're trying to contain ourselves but it's hard because we're all proud of what we've created here. It's a really great album and we're excited to let as many people hear it as we can. And who did you all work with in terms of production for this album? SANTIAGO: Well, TOMMY, our guitar player, joined the band about three years ago and I have to say that he was a great addition to the band. We had these songs lying around for a while but it was TOMMY who came in and put the finishing touches on everything. Once he did, we worked on these songs for about a year before we went into the studio. 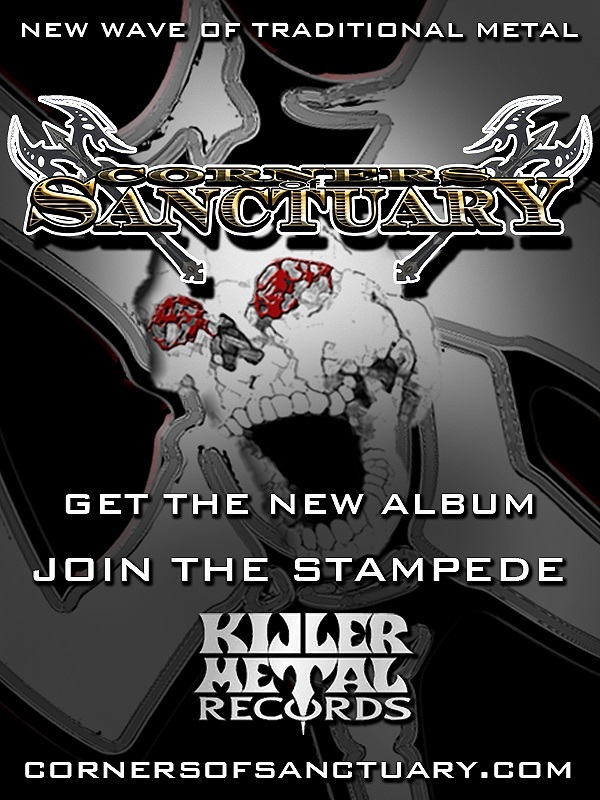 RICK: We recorded the album at VIRTUE AND VICE STUDIO where we worked with ROCKY GALLO who did a fantastic job with the mixing and engineering. It was great teaming up with him and sitting at the mixing board. Self-producing this album is what we felt we needed to do. We did all of the real heavy lifting in the studio rehearsal rooms beforehand to get everything the way we wanted it. Recording the album was painless. So far have there been any reactions to the album that have surprised you or that you didn't see coming? TOMMY: The reaction on YOUTUBE has been a little bit surprising. We are band from New York that is pretty much unknown. We released the single for CONSEQUENCES and the video on February 15. In six days it reached over a thousand views and as of today it has reached over twenty-three hundred views. It's climbing and in the past couple of days, it has had six hundred views which is pretty cool. That's kind of surprising. For an unknown band, the numbers seem to be climbing which is really good. Things have been taking off for us on SPOTIFY as well. We've managed to reach out to over 80 countries on SPOTIFY which is fantastic to hear. We really hope that people will really enjoy the album. And if they do, the numbers will show it. And why was CONSEQUENCES earmarked as the single? What made the song stand out? VINNIE: When we wrote it, we felt that it was a very strong song. It hits you in the face when it opens up. It comes right at you. We talked about it for a really long time before we made the decision on what the first single was going to be. After a long time of just sitting and talking and hashing it out we felt that CONSEQUENCES was a really strong song to release first to the public. We all felt really good about it and we still do at this point. RICK: The opening drum riff gets your interest right away. VINNIE just tears into the opening drum riff and the song just kicks in and it grabs you by the balls. We've got a lot of weird twists and turns on the album in terms of different styles of music. It all sounds like us but we've got different musical moods and think that song fits right in the middle of all of the various moods of this album so CONSEQUENCES is a great way to introduce people to the band. And what inspired this set of songs on this album? SANTIAGO: We created the music organically by getting together and just jamming a little bit. In the beginning it was me, RICK and VINNIE and then by the time TOMMY came onboard we had all of these songs and half-finished songs.When TOMMY came aboard he was able to add his own musicality to these songs and we were able to polish them up. That was pretty much the way the songs came together and then RICK would put his signature onto them by adding his lyrics and melodies. TOMMY: A lot of times when we're writing, it will start out with a singular idea. Sometimes it's a bass line that SANTI has come up with and he and I will go back and forth with each other and come up with ideas around that bass line and see what sticks and see what doesn't and then it turns into what you hear on the album. It's not just SANTI and I. There are plenty of times where RICK and VINNIE and SANTI will have just as much an equal say on the guitar part as I do and say "I don't like this. Can you change that? Can you do that other thing again? I really dig that!" We all have equal input into the songwriting process. It's a highly democratic process in this band. We all have equal say. We have our differences of opinion sometimes but we always seem to work it out and always for the best of the song. RICK: Yeah, it always has to be what is best for the song and not for our ego. 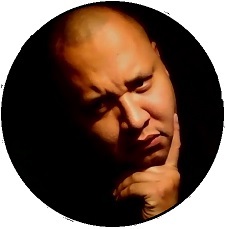 The inspiration for the vocals and the lyrics come from various different things. The song THE BRAVE is a tribute to anybody who wears the uniform or has worn the uniform and has been brave enough to defend our country in one form or another. That song kind of wrote itself. These men and women definitely need to get the thanks that they deserve. VAGRANT is one of my favorites off of the album. When you walk down the streets of New York City, you run into homeless people. I saw a homeless guy on the street one day and I started wondering what his story might've been like and that informed the song which is a riches to rags kind of story. There are various inspirations for the songs on this album. Bring me back to the beginning of the band. How did this whole thing get started? VINNIE: RICK and I had been jamming together for quite a while together in other bands. SANTI had also played with us together for a while on bass. When the time came to put this band together we knew that we wanted something fresh and that was going to make an impact and we wanted to have a good time doing this thing. We wanted to enjoy ourselves when we were on stage and during the whole recording process. We weren't going to hold back on anything and we weren't going to cut any corners or take short cuts. If a song wasn't good enough, it was going to be on the album. We wanted to give everybody the best of us. In the beginning stages, it was me, RICK and SANTI. We looked high and low for a guitar player for a really long time and we got lucky. TOMMY was referred to us by a mutual friend. As soon as he started playing with us, I knew that he was the guy. He came in and came prepared and he's a great guy to hang out with. It's one thing to be able to shred on your instrument but it's another thing to be able to fit into the family so to speak. He fit the mold that we had here and he was breath of fresh air. From there, we started writing. We had some ideas that RICK, SANTI and I had been horsing around with and TOMMY came in with what he had started with and put his finishing touch on. He made the songs better and he made them complete. From there, we started writing as a cohesive unit which really started to put us into a good place. We've got a very positive vibe within this band and we're really happy with the music and really happy with the way everything has turned out. RICK: We really wanted to have fun. We joke around all the time and it's awesome. It's like my brothers are my best friends because all we do is laugh and joke and finish each other's sentences. There is never a dull moment in this band. From the album, what song stands out for each of you the most and why? VINNIE: For me, the song THE BRAVE stands out the most. I really hope that song takes off because I just have a great idea for a video for that song. I've had the vision since we wrote the song and I'm hoping that we find a place for that song and that the people really respond to it. That one is my favorite. RICK: Boy that's tough! These are my lyrics! When I was listening to the album today, the song that loved the sound of the best was HATE TO LOSE. Listening to that song today was like listening to it for the first time for me because we tried to step away from it for a little while. So that song and VAGRANT are my toss ups, but if I had to choose one, it would have to HATE TO LOSE. TOMMY: There are a lot of different songs that I like on the album for different reasons. Being the guitar player, there are the riffs of certain songs that I love like the song THERE GOES THE WORLD, but the song that means the most to me is THE BRAVE. RICK had already written the lyrics to it and he had no idea that my wife is a veteran. So for me, that one stands out. SANTI: If I'm in a car driving around, I would have to say WAITING is my favorite. I love the way it came about and the way it sounds. If we're playing live, I like the song VAGRANT the best. It's the one I get the most excited about live when we are on stage. It's a really dirty, swampy sounding song. And finally, fantastic work on the music video for CONSEQUENCES. Who did you guys work with in putting it together. RICK: ERIC DICARLO of SQUAREUP STUDIOS. He is a super easy guy to work with. VINNIE: A very easy going guy. We had that video done in five hours. He was super easy to work with and no pressure. He made it very comfortable and he got the best out of us. While we were in front of the camera, he gave us some ideas and tips on what to do. He was a big help to us in making that video look the way it does and we'll probably be working with him in the future. The key was to make the video look timeless. I don't want to look at this video a year from now and think that it looks dated. When you see us in the video, that is who you are going to meet on the street. This is who you would hang out with at a bar. We're regular guys who play music and enjoy what we do. We're not going to put something out there that is fake. We're going to put out our best music and we're going hit you in the face with it and we're going to come at you really strong when we play live.